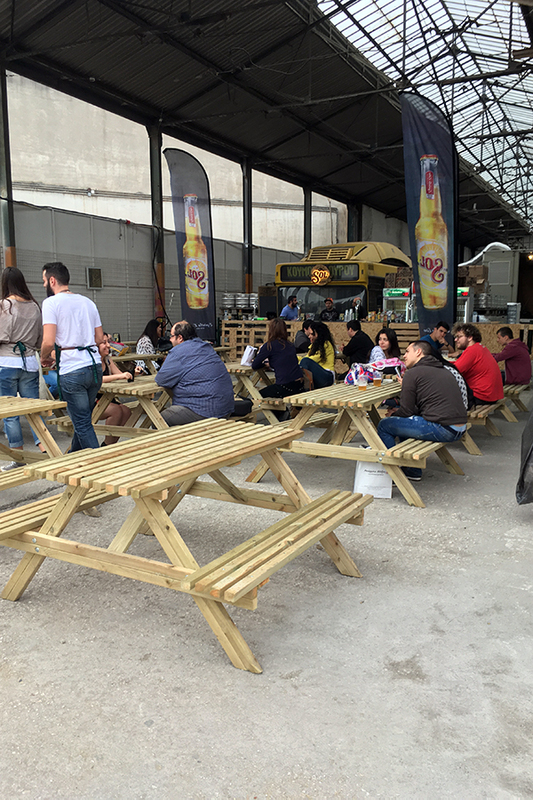 Update: Athens Street Food Festival, 20-22 & 27-29 May. 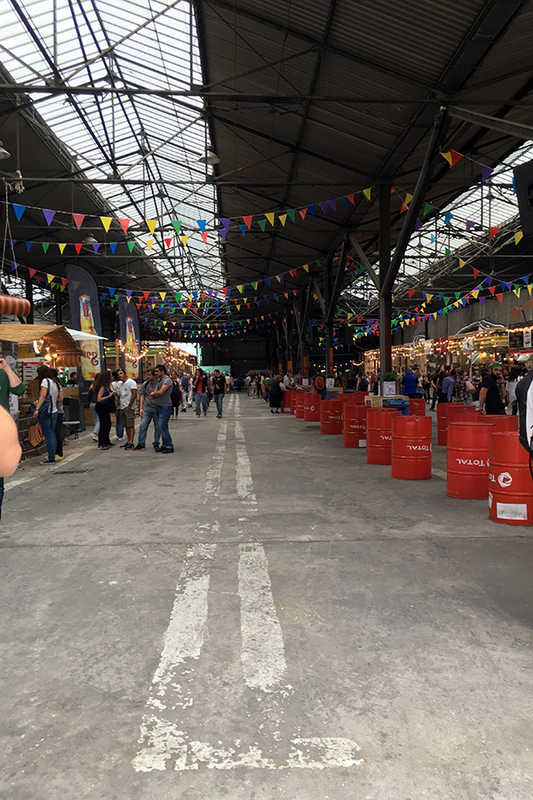 The entrance to the Old Depot, where the food fest is held. I went to see the Athens Street Food Fest earlier today (20th of May). There was a variety of food stalls there selling burgers, burritos and hotdogs among others. 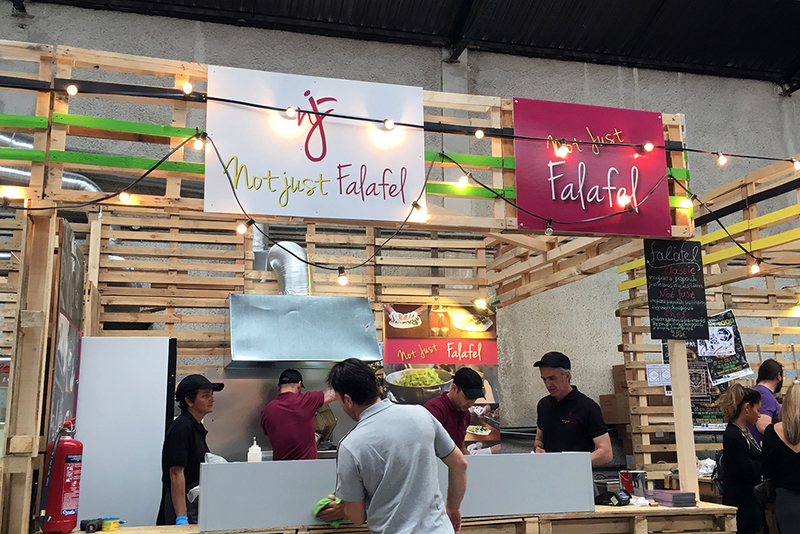 Even one of my favourite falafel shops, Not Just Falafel, can be found there! 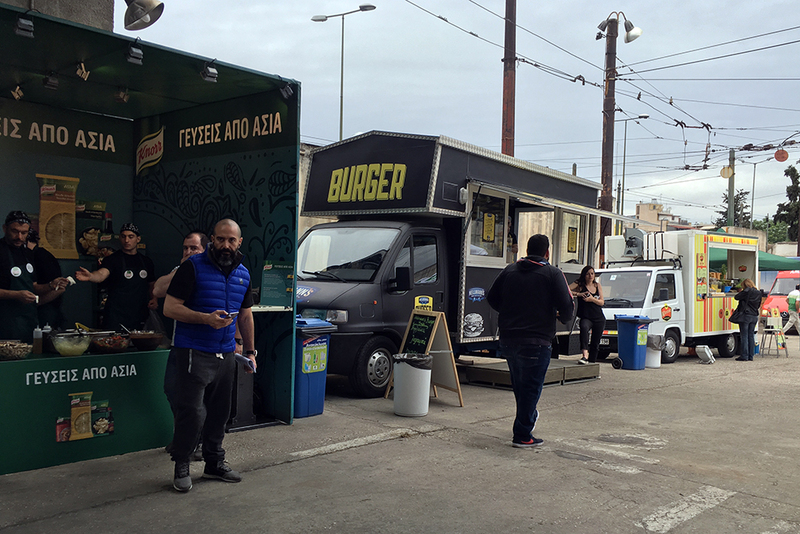 There are coffees by taf, and wonderful juices and quinoa burgers by Pure Bliss, Peruvian food (with their ‘Amazonian Kimchi’!) by La Pantera Negra, Monster Burgers, cupcakes from Emi’s cupcakes and of course, my usual take-away/delivery when I am at home, The Big Bad Wolf Souvlaki Bar with their, well, souvlakis. There are also food trucks, and an Asian food section by the food trucks, by Knorr. 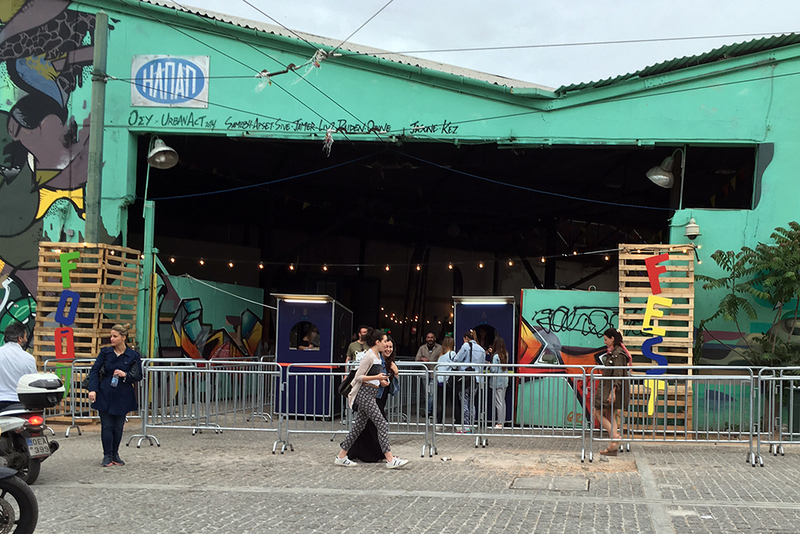 It’s running this weekend (and next weekend), at the Old Depot of OSY in Gazi, just opposite of Technopolis. You can get here by taking the HSAP train to Thisseio and walk down the pedestrian path down towards the depot, or take the Metro (blue line) to Kerameikos and walk past Technopolis and cross the big street to the depot. There is an entry fee of EUR2.50. Please do go and eat your way around the wonderful street food (and drinks!) that are on offer.